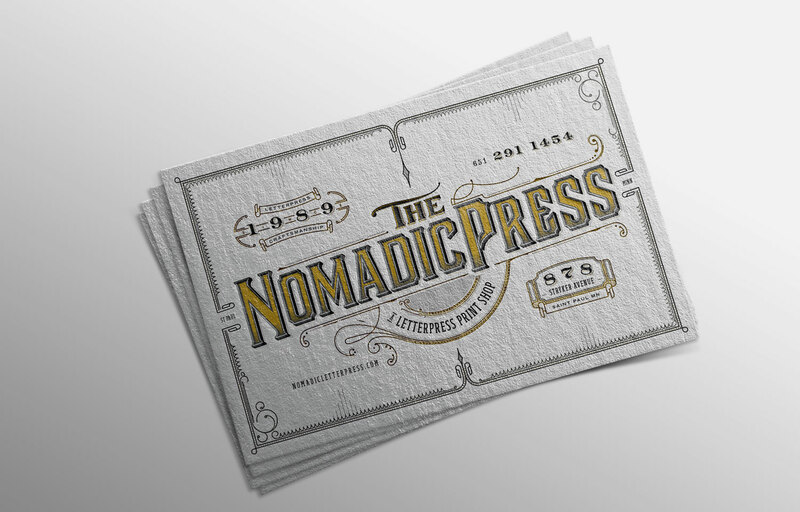 Started in 1989, The Nomadic Press has been printing letterpress for more than three decades out of a small corner shop in St. Paul, Minnesota. I was engaged to create their first marketing promotional piece in 20 years. 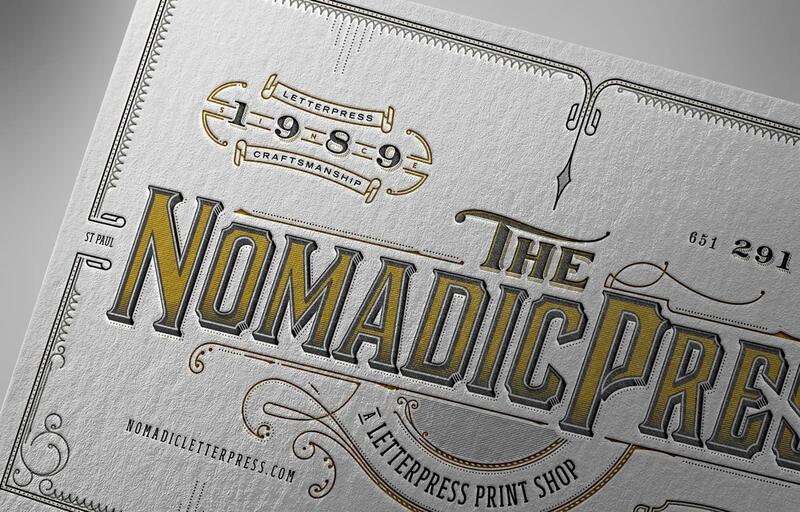 The results included a custom typographic treatment inspired by stock certificates and turn of the century ephemera the shop has collected through the years. 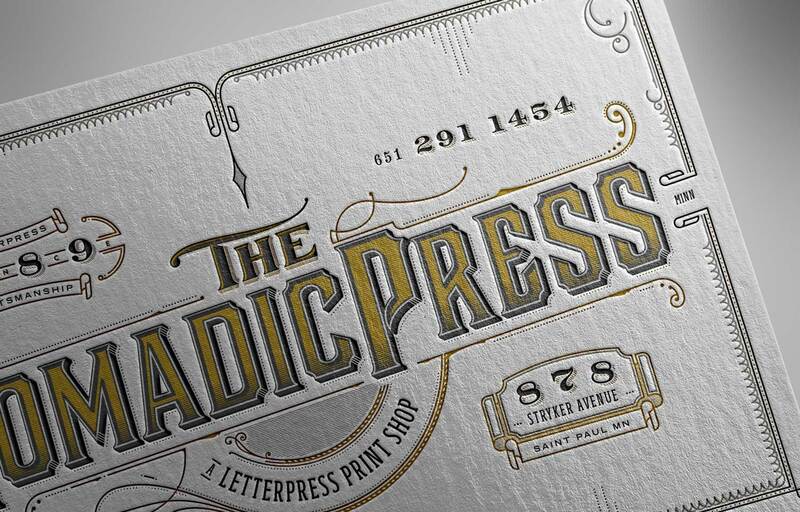 The resulting prints were mailed out and posters were printed as a limited edition.